Ayers Rock is one of the most impressive landmarks in Australia - a huge chunk of sandstone monolith residing in Uluru-Kata Tjuta National Park. There are a diverse range of adventures and experiences in the red centre. Visitors can explore many great Australian outback destinations around the Uluru-Kata Tjuta National Park. 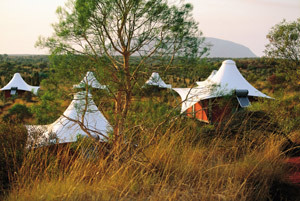 Uluru provides a variety of accommodation for every taste. A world heritage listed, Australian icon. You haven’t truly experienced the great Australian Outback until you’ve seen Ayers Rock. Rising from the spinifex plains of the Northern Territories like some giant continental beacon, the sacred rock of Uluru is perhaps the ultimate icon of this great Southern Land. Despite its remote location, some 462km from Alice Springs, Ayers Rock continues to attract tourists, and for good reason. There’s simply no other geological feature like it anywhere in the world. Seeing it change several hues of terracotta and crimson as the sun sets over the tribal lands of the Pitjantjatjara is an unforgettable experience. Awaking in the morning to see the ‘lights switched on’ as the bold Outback sun illuminates Uluru is certainly spiritual. We’ve got every sandstone inch of the four million ton World Heritage site covered here ― how best to experience it, when to come and how to get here. Discover more about Australia’s iconic red centre, Uluru. How big is Uluru? How tall and wide is Uluru? Where is Uluru? What is Uluru made of? 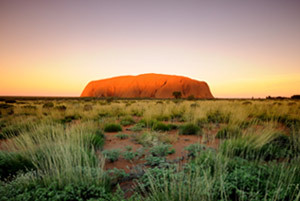 This special iconic place invokes so many questions – see our Uluru Facts page to get all the answers. How was Uluru formed? How long does it take to walk around Uluru? Can I climb Uluru? Pamper yourself right in the heart of the central Australian outback with a visit to the beautiful Red Ochre Spa. 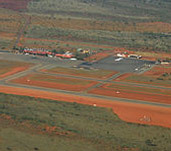 Getting there: Ayers Rock Airport is situated near Yulara, about 20 minutes drive from Uluru. Alice Springs is set within the largest area without light in the world, with stargazers able to stare in awe at the galaxies every night during their stay. 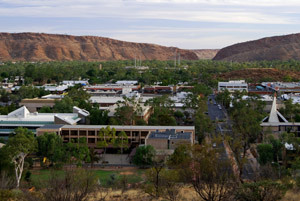 The town is well-set up for tourism, with hotels, restaurants, car hire and tour offices offering the five-hour trip to Uluru and the national park. Most visitors would have seen photos featuring Uluru, but nothing prepares you for the experience of being exposed to this expansive living cultural landscape. Experience many wonderful features of this region, including Uluru or Ayers Rock, and Kata Tjuta, also known as the Olgas. To get a complete grasp of the sheer magnitude of Uluru, you need to let your feet leave the red desert and take to the air! See the rock from the air. Discover the wide range of activities to get the heart racing at the rock, such as sky diving, bungee jumping, para-sailing and jet skiing to name a few. While you're visiting Uluru this winter, why not experience a little hot and cold and go snow skiing as well. Book your Australian Ski Accommodation and Accommodation in Thredbo at OnSnow now. To really get intimate with this sacred site of the Aboriginal people, it's necessary to spend some time walking around it. Help and Travel Service for USA travellers: www.esta-registration.co.uk With UK Toll Free supporthotline. The Ayers Rock Resort is located within the town of Yulara to the north of the famous landmark. This self-contained town features several hotels and two campgrounds, as well as a supermarket and other useful facilities. Accommodation styles here range from camping to Longitude 131°, the area's five-star luxury resort. Ayers Rock Resort. The area around Uluru was settled thousands of years ago, and although it was ‘discovered’ by the white man in the 1800s, Uluru and Aboriginal culture are very much entwined today. In fact, Uluru is Australia's spiritual heart. 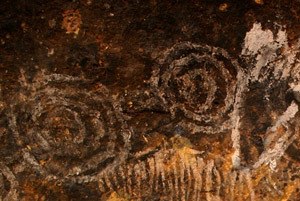 Aboriginal culture dictates that Uluru was formed by ancestral beings during Dreamtime. Uluru Australia is a 'Web Magazine' website that is dedicated to all things related to Uluru (Ayers Rock). We are passionate about Australia's iconic red centre, its vast open landscapes and the unforgetable experiences that are waiting for all who visit. Our aim is to discuss Uluru, its history, its environment, its wildlife and its spectacular destinations. 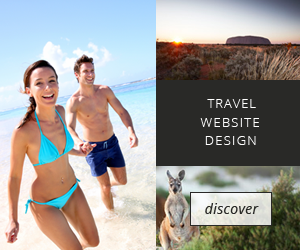 We hope that this website will inspire all who visit, just as much as Uluru has inspired us.